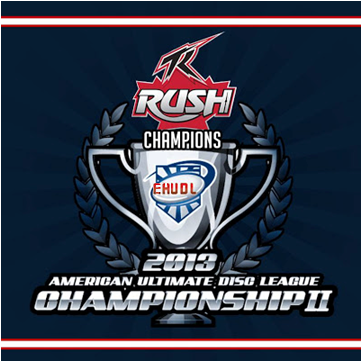 After an undefeated regular season (16-0) in the American Ultimate Disc League, Toronto Rush won the Eastern Conference on Saturday (Aug 3), & then completed a perfect season by winning the AUDL Championship on Sunday (Aug 4). 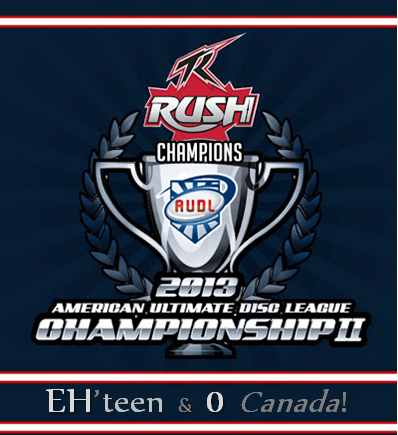 Finishing the season at 18-0, the Toronto Rush are AUDL 2013 Champions! USA Ultimate, For The Win!